Misplaced your glasses recently? Had a special event to attend and wish you had alternative frame choices? Still don’t own a pair of prescription sunglasses? Wouldn’t it be easier to have at least one spare pair of glasses readily accessible should the unfortunate happen, and you misplace, lose or, heaven forbid, destroy your primary pair of prescription eyewear? As times get busier and busier we’ve found our clients seeing the importance of having multiple pairs of frames and have heard many stories of how having a spare pair “Saved my day!” So we wanted to share some of the most common reasons persons make the investment to FRAME it up! It’s just like an item of clothing, sometimes you need a different look & purpose. What do you think? Have a spare pair on hand right now? Have several different styles. Gone are the days when you have to continuously wear one pair of frames. With so many options to suit & accent your face you can have a frame for every day and every mood so you never get bored of having to use your spectacles. It can be a statement piece after all! Frames can adapt for our different and often changing roles in life; A person may lead a very active lifestyle—choosing from the Lacoste or Rapp collections but that doesn’t mean that something more sophisticated like Lindberg isn’t called for in the boardroom, classroom, or on social occasions. For a night out you might want to choose from Salvatore Ferragamo or Theo in order to kick up your style a notch. 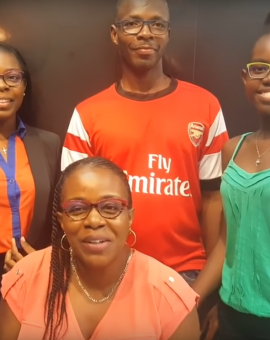 Now that glasses are seen as a fashion accessory, as well as a medical necessity, it behoves the modern consumer to own and keep more than one pair at a time—in case of emergency, sure, but also as different circumstances require different looks and functions. Make your extra pair a prescription sunglasses. Even the most gorgeous sunset shines hazardous UV rays into your eyes, and wearing photochromic lenses won’t help when you are sitting behind the wheel. The windows of your car can block UV rays, so your photochromic eyeglasses won’t darken in response to the sun. Instead, keep a second pair of prescription sunglasses with polarized lenses handy for when you are driving. If you don’t own photochromic lenses then it’s even more imperative to get a pair of prescription sunglasses to protect your eyes whenever you are soaking up some rays. Stay prepared for any accidents. Accidents happen, even with the best pair of durable, high quality frames. If this occurs, you don’t want to be left going to work or driving around with blurry vision. Store a second pair of eyeglasses in your bag, car, or desk drawer, so you have easy access in case of emergency. With children, this is particularly important. Kids’ eyeglasses take a lot of abuse, and the rate of breaks is even higher. A backup pair is essential! Don’t worry about fine print. Most people over age 40 develop presbyopia. This vision condition makes it hard to focus on small objects, details, and text that is close to your eyes. Therefore, you’ll need different prescription lenses to match different activities. Even if you already wear bifocal glasses or progressive lenses, readers are helpful. That’s because bifocals and progressives don’t target a specific distance, so they have limitations. In comparison, readers can give you sharper vision for a particular task, such as reading a menu or messages on your smartphone. For those whose hobbies include close up work, reading glasses may be helpful for magnification. Add protection for Digital Devices. If you spend long hours on a computer or other digital screen for work or leisure, specialized computer glasses can prevent digital eyestrain and computer vision syndrome as they are designed specifically for the distance at which you view a computer monitor. Put on computer glasses to see the screen with crisper vision, reduce irritating glare, and block dangerous blue light waves that are emitted by all digital tech. We have the best lens options available to help protect your eyes, and you can even try going to your employer to see if they may cover the cost if you need them for your job. Play sports without fear. The right pair of prescription sports glasses can enhance your performance and protect your eyes against injury. Tinted lenses can enhance contrast for outdoor sports, such as when you’re on the golf course, shooting range, or tennis court. Also, impact resistant lenses are recommended for any rough activities or contact sports. In fact, 90% of eye injuries can be prevented by wearing protective eyewear and it protects your main pair of eyewear. So…. Ready for that New Pair? 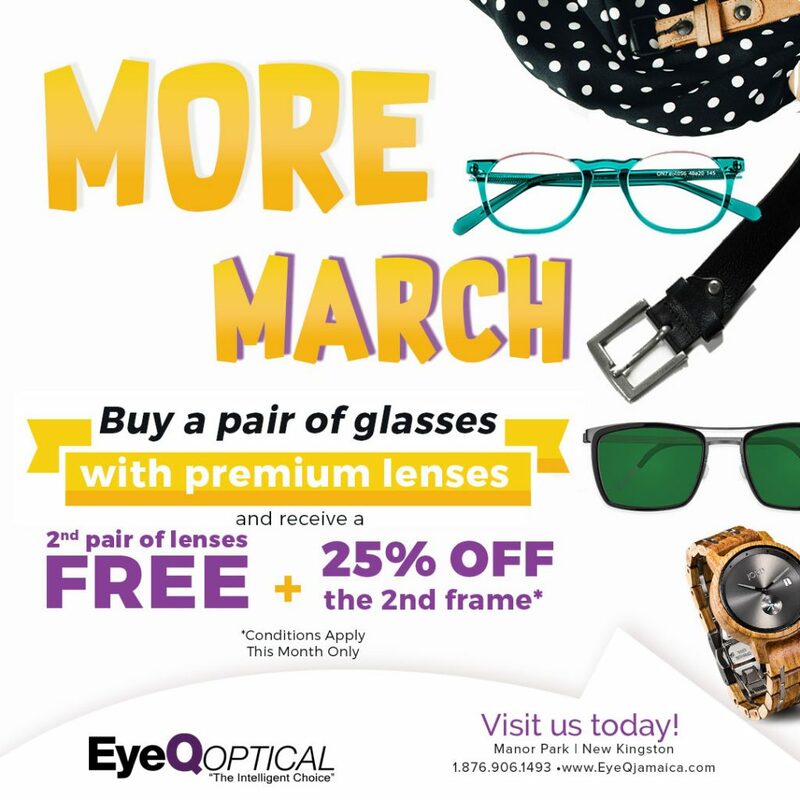 Get a FREE pair of Lenses & 25% OFF a 2nd pair of frames with your glasses purchase!